In what ways does listening to music shape everyday perception? Is music particularly effective in promoting shifts in consciousness? Is there any difference perceptually between contemplating one's surroundings and experiencing a work of art? Everyday Music Listening is the first book to focus in depth on the detailed nature of music listening episodes as lived mental experiences. Ruth Herbert uses new empirical data to explore the psychological processes involved in everyday music listening scenarios, charting interactions between music, perceiver and environment in a diverse range of real-world contexts. Findings are integrated with insights from a broad range of literature, including consciousness studies and research into altered states of consciousness, as well as ideas from ethology and evolutionary psychology, suggesting that a psychobiological capacity for trancing is linked to the origins of making and receiving of art. The term 'trance' is not generally associated with music listening outside ethnomusicological studies of strong experiences, yet 'hypnotic-like' involvements in daily life have long been recognized by hypnotherapy researchers. The author argues that multiply distributed attention - prevalent in much contemporary listening- does not necessarily indicate superficial engagement. Music emerges as a particularly effective mediator of experience. Absorption and dissociation, as manifestations of trancing, are self-regulatory processes, often operating at the level of unconscious awareness, that support individuals' perceptions of psychological health. 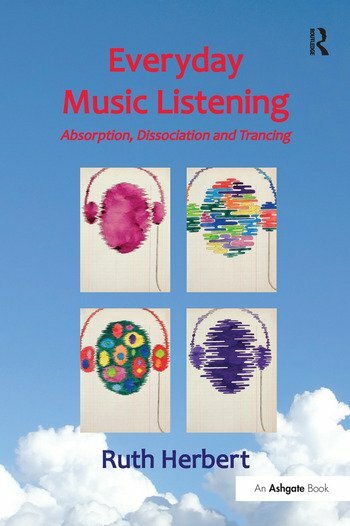 This fascinating study brings together research and theory from a wide range of fields to provide a new framework for understanding the phenomenology of music listening in a way that will appeal to both specialist academic audiences and a broad general readership. 9. Everyday Music Listening Experiences Reframed. Ruth Herbert works on the subjective experience (phenomenology) of music in daily life, and the transformations of consciousness that may occur in conjunction with listening to and making music. Her extensive research interests also embrace music and wellbeing, music education, evolutionary psychology, ethology and performance psychology. Publications include book chapters and articles in both peer reviewed journals and specialist magazines. She currently works for the Open University, UK, and was formerly Head of Performance at Dartington College of Performing Arts. She has performed widely as a classical pianist and as a member of a diverse range of ensembles, notably recording soundtracks for two classic silent films.